If you’re excited by the prospect of finding a new party dress, but dread the thought of having to flash skin, then you’re not alone. The good news is that in winter, your problem areas can be covered easily and stylishly. Hate showing your arms? 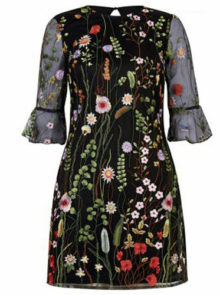 Opt for long-sleeved dresses; a total saviour if you want to look great whilst embracing the trend for layering. 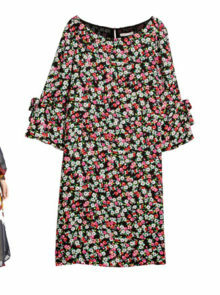 The online stores have picked up on one of our biggest style worries and produced a wealth of beautiful, age-appropriate and flattering long-sleeved dresses. The best bit? 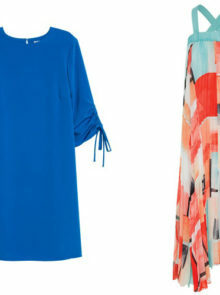 These dresses are perfect for all shapes and sizes – and it’s not about covering your shape in swathes of material. 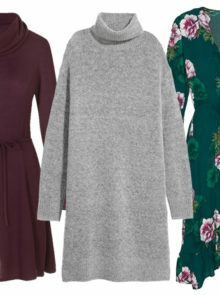 There are great long-sleeved designs for every figure, so we can all finally have our pick of this season’s pretty dresses and fill our wardrobes to bursting point. You no longer need to hide under swathes of fabric, opting for black separates or lots of layers to hide unsightly bingo wings. Instead, just click through our collection of the most stylish long sleeved dresses on the high street and you can feel cool and confident all season long. Dazzle from head to toe in this floor length velvet number from Motel. Be sure to make your heels sky high for maximum impact. This Lipsy London dress looks great worn over opaque black tights and glitzed up with chunky gold jewellery. The gorgeous dark hue makes for a sophisticated occasion piece. Wearing crisp white to a party is daring (and asking for someone to slosh their red wine all over you! 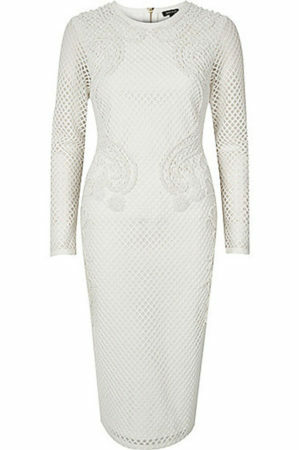 ), but we couldn’t resist this striking beaded mesh River Island dress. Contrast with darker shades in your make-up and accessories for an expensive-looking ensemble. 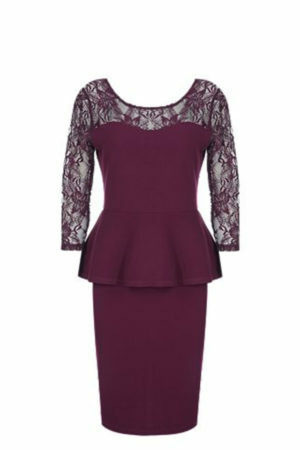 Stand out in a sea of black dresses with this plum peplum winner. With its lace panel and dark hue, this number is ticking all the winter trend boxes. 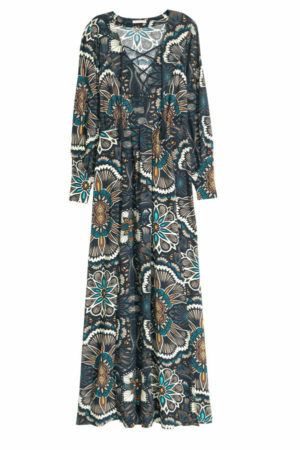 Embrace the Boho Chic trend this season in this H&M maxi. It’s the ideal piece for comfort and style. Finish the look with a comfy pair of suede ankle boots and you’re good to go. For a more formal affair, or if you just fancy looking extra glam, wear a head turning embroided lace gown like this Tadashi Shoji dress at Nordstrom. With the shelves awash with sequinned dresses, it’s hard to find a dress that’s suitable for the season if you aren’t a fan of sparkles. 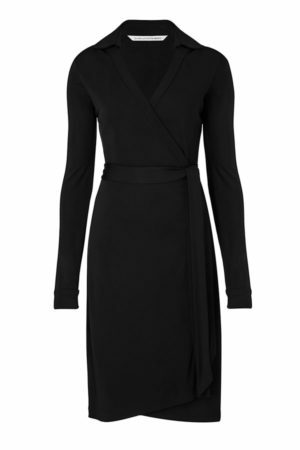 Luckily, this classic Diane von Furstenberg wrap dress works for winter or spring parties, the office and every occasion in between. Look red carpet ready with this dress from Shopbop. This number is perfect for showing off an hourglass figure and the sparkle count will satisfy any party goer.